A trendy watch is more than just practical for telling time, it is also a incredible piece of fine jewelry. 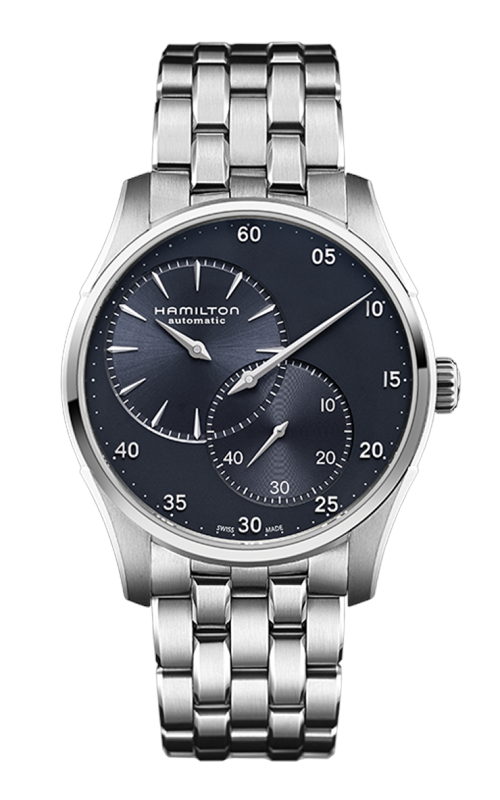 This Gents Hamilton H42615143 watch comes from the finely crafted Jazzmaster collection. It includes a precise Automatic (self winding) movement. Some other benefits of this watch are that it is water resistant up to 150 ft (50 meter) and includes a Scratch resistant sapphire crystal. This watch also comes with a generous 2 years international warranty. Make an appointment or contact us for more information on Hamilton. Please fill out the form below and a Hamilton specialist will contact you regarding the Hamilton Jazzmaster Regulator Auto Watch H42615143 as soon as possible.